What are Real Estate Electrical Repair Addendums, and When are They Necessary? When you buy a home, there are two major points of negotiation involved with the process. The first is when you discuss price, closing date, etc; and the second is after home inspections reveal problems with the property and you request that the seller make appropriate repairs. This request is called a repair addendum, and it’s an important part of any real estate transaction. Looking at real estate electrical repair addendum’s specifically, it’s imperative that you as a buyer implement them into your contract in order to save you money and keep you and your home safe once you move in. Exposed or damaged wire, switches that don’t work, broken outlets… all of these can cause major problems if they aren’t taken care of, and it shouldn’t be your responsibility as the buyer to foot the bill for the repairs. Why are Electrical Repair Addendums so Important? As mentioned earlier, there are a variety of electrical issues which could pose a safety or functionality issue in your new home. The only way to ensure that these problems are fixed is to add an addendum to your contract. This will force the seller to get the needed repairs before finalizing the sale, which will give you peace of mind that you’re moving into a safe and fully functioning property. Your home inspector will inform you if any repairs are needed, and your real estate agent will be able to implement the addendum easily so that you’re getting the best deal out of your purchase. If you’re selling a home and are faced with an electrical repair addendum, you’re going to want to take care of it immediately in order to ensure that the sale can be completed and closed as quickly as possible. In order to achieve this, you need to find an electrical company that works fast and is affordable enough that your profit isn’t severely cut into. Of course, you also need a company that is going to do high quality work in order to ensure that no additional repairs are requested. 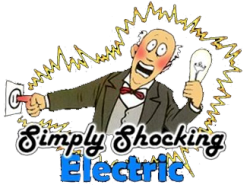 Luckily for you, Simply Shocking Electrical specializes in home electrical inspection repair and meets all of the above criteria. You should use Simply Shocking when getting addendum repairs done quickly and correctly. 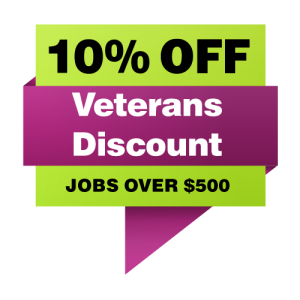 Electrical Repair in the Portland Area! When it comes to real estate electrical repair addendum’s in Portland, there’s a trusted and very experienced company that you can use to get all of your issues taken care of quickly- Simply Shocking Electric. For over a decade, the master electricians at Simply Shocking have been performing safe, effective addendum repairs to help a variety of sellers reach their closing dates with no issues. If you’re a buyer, you can be sure that all your requested repairs will be taken care of with maximum efficiency. If you are the seller, Simply Shocking Electric will inspect and perform all necessary home electrical repairs so your real estate transaction goes smoothly.